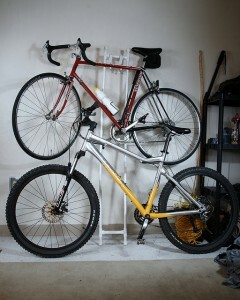 Mountain bike or Road bike? Who can choose! Mountain bikers who participate in cross country or endurance events need to build a strong fitness base that can only come from lots of time in the saddle. 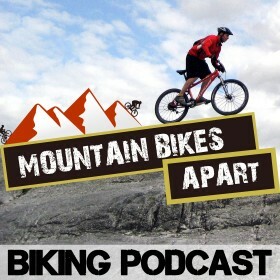 Some mountain bikers believe that training should be very tightly aligned to the activity in which you’ll be participating. These riders spend very little time on a road bike and minimal time doing other types of cross-training. There is a lot of validity in that approach, however, a committed endurance rider can benefit in several way from road bike training. Road riding is a controlled environment and can allow for more accurate tracking of training data. It’s much easier to measure distance, time, heart-rate, etc. when you’re not having to constantly adjust your riding to trail conditions. If you want to get even more scientific about your training, you can outfit your road bike with a power-meter and download all the data to a computer when you get home. Intervals and other workouts can be performed on trails, but it will be more controlled and easier to measure on the road. Road riding can build strength when pedaling bigger gears. Take a look at road bike gearing as compared to a mountain bike and it’s obvious that road gearing is much higher. There is no mountain event in the world where you would need a 53-11 combination. Pushing big gears on the road can yield big results in terms of power when you get back on the trails. Riders who feel uncomfortable with standard road gearing may find a compact double with 50/34 gearing to be more familiar. Compact gearing can allow training in larger gear ratios than most mountain bikes, but still provides the option for high-cadence training. The other benefit to road riding is recovery and safety. No matter how fit you are, long days on rough trails can take a toll on your body. Road bike training is generally lower impact and can provide critical recovering time when preparing for a big event. Although there’s no guarantee that road cycling is completely safe, your chances of crashing and injuring yourself can be much less on the road. Some hard-core mountain bikers might scoff at this idea, but no one wants to give up months of hard training to recover from a broken collar bone. Each rider will have his or her own way to prepare for an endurance event. Structured correctly, a regular road cycling regimen can enhance training and offer a nice change of pace for cross country mountain bikers.